The inaugural exhibition of the Iris and B. Gerald Cantor Art Gallery on campus in 1983 featured Rodin sculptures from the collection of the Cantors. Thirty-five years later, in celebration of the Gallerys anniversary and in conjunction with the Colleges one hundred and seventy-fifth, Auguste Rodins sculptures will again grace OKane Hall in the exhibition Rodin: Truth, Form, Life, Selections from the Iris and B. Gerald Cantor Collections. In addition to the twenty-two sculptures on loan from the Cantor Foundation, the exhibition will feature several Rodins from the Colleges permanent collection. 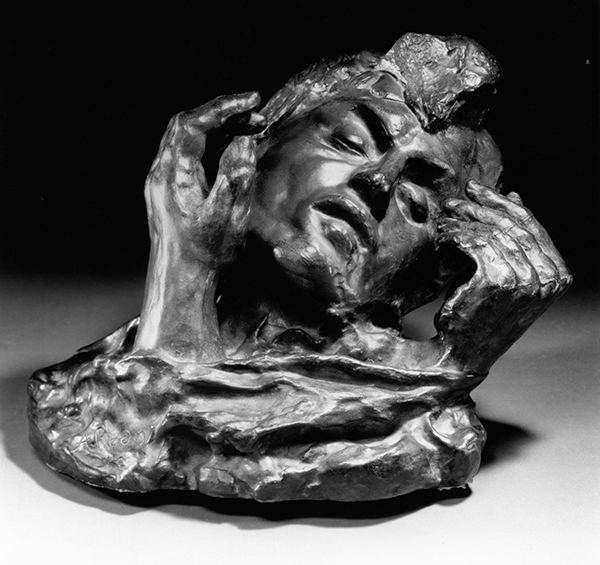 In a career that spanned the late nineteenth and early twentieth centuries, Rodin, regarded as the father of modern sculpture, created forms that captured the vitality of the human spirit. Although respectful of sculptural traditions, the intensity of Rodins vision and his innovative studio and business practices ushered sculpture into the modern era and influenced countless artists who followed him. This exhibition has been organized and made possible by the Iris & B. Gerald Cantor Foundation.